Nearly 40 workers at the Indus/Cyprus Cannabis processing facility in Salinas voted in a government-conducted election last month for representation by Local 5. The victory caps a weeks-long organizing campaign lead by the Union’s Agricultural Division along with the UFCW International Union. Marketed under the name Altai Brands, the facility produces a variety of edible cannabis products including Sea Salt Caramel Bon Bons, Chocolate Coins, Watermelon Soothers and Bing Cherry Gummies. The company sells its products to marijuana dispensaries in Santa Cruz County and other Northern California locations. Indus/Cyprus workers, who have been on the job between six months and two years, sought Local 5 representation for the usual reasons, says Union Representative Efrain Aguilera. “They complained about a list of broken promises around basic issues like regular wage increases and evaluations – but want they really want is respect,” he explained. The recent Union victory in Salinas is part of a broader campaign in an area with a rapidly changing dynamic. Long-known as the “nation’s salad bowl”, the Salinas Valley agriculture industry is in transition as traditional crops, particularly flowers, are replaced by more profitable cannabis plants. Estimates show that the area is home to nearly 100 cannabis-related companies employing thousands of workers. Local 5 was one of the first unions in the country to organize in the cannabis industry focusing initially on Bay Area medical marijuana dispensaries before legalization for recreational use in California was approved by voters in 2016. 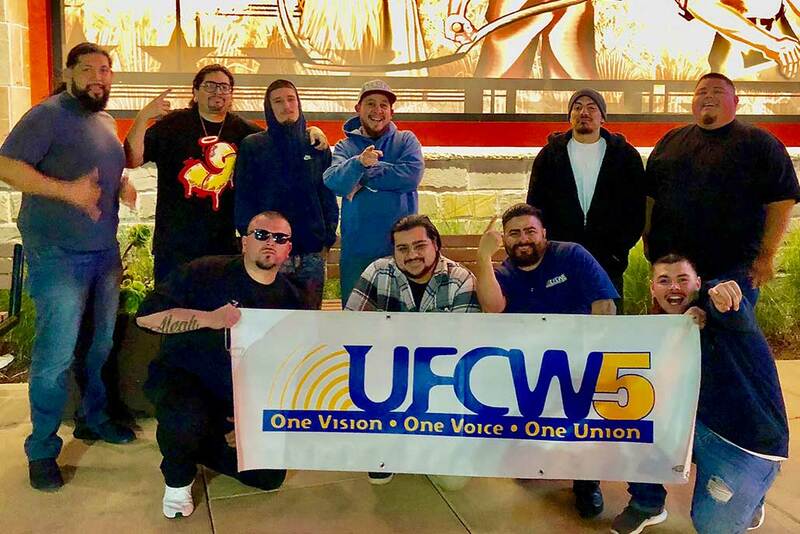 Local 5 continues its focus on dispensaries, manufacturing facilities and with cannabis growing and harvesting workers including a current campaign with Indus/Cyprus field workers covered by the Agricultural Labor Relations Act. As the industry grows so will Local 5’s efforts as the Union works to organize workers “from seed to sale,” said Aguilera.